2. Kind staff, beautiful Hanbok, and comfortable experience hall!! 4. Wear hanbok and walk through Bukchon Hanok Village! 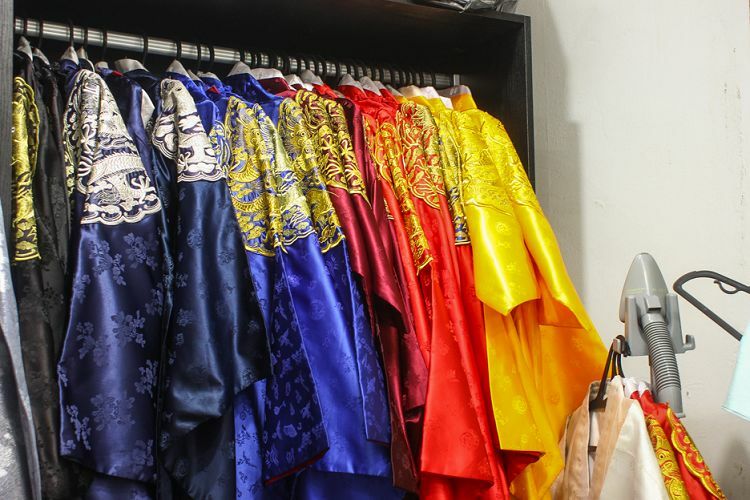 Oneday Hanbok in Anguk Station is the oldest Hanbok rental shop with over 500 Hanboks. For popularization and globalization, the shop lets foreign visitors rent Hanbok at a special discounted price. Walk through Bukchon Hanok Village, where you can feel the traditional beauty of Korea, and take photos! • Hair accessories / braided Hair / Purse / Basic underskirt are free of charge! • From basic Hanbok to King’s and gisaeng’s Hanbok, various kinds of hanbok are prepared. • If you are planning to walk around Bukchon Hanon Village, choose 4 Hours pass and if you want to wear it all day long, buy 1 Day pass! 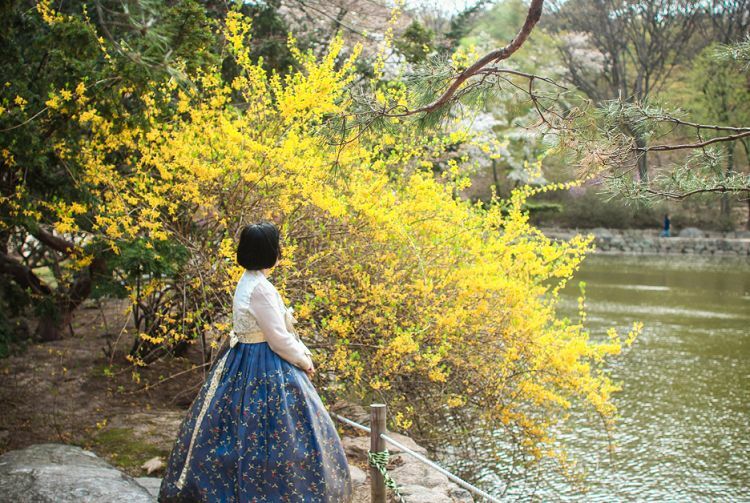 • Admission to Seoul’s Palaces is free when wearing Hanbok! 2. 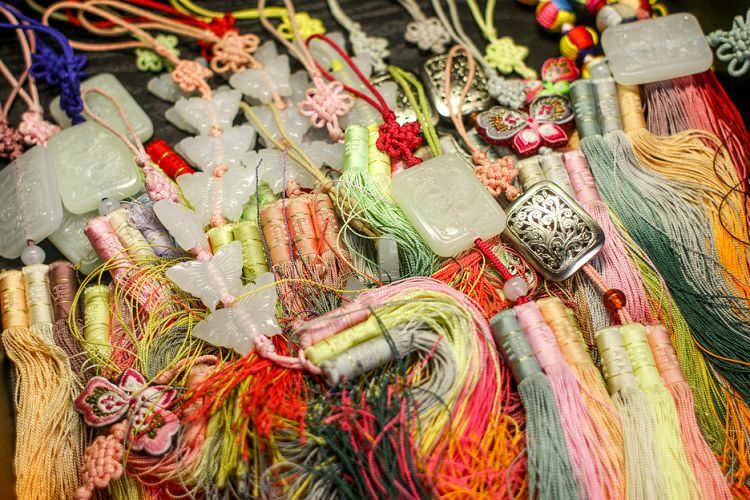 Rent your favorite Hanbok accessories, such as norigae and hair accessories. 3. Enjoy your Hanbok session at the place you want. • The ID card and deposit will be returned after checking the returned items at the counter. 4. Present voucher at ticket office and rent Hanbok! • There is an entrance behind the building! 1. Each customer will be provided with 2 fitting changes and choose Hanbok between those 2 choices. 2. Hanbok cannot be booked in advance. 3. For rental, ID card and deposit amount 10,000 KRW is required. Deposit can only be paid in cash, and will be returned after checking the returned items at counter. However, if the Hanbok is contaminated or damaged, extra cleaning fee will be deducted from deposit. 4. In case of delay, penalty of 10,000 KRW will be charged on top of the standard Hanbok rental fare for the hours delayed. 5. Changing date or time of reservation is always possible. To do so, please inform our CS Team in advance. However, making change of reservation cannot be made when the desired time is already booked by others. In this case, we will contact you via email. Q. Is there anything I need to prepare for renting? A. ID card – At least one ID card is required for each group. Deposit – Deposit amount 10,000 KRW in cash is required. Deposit will be refunded after checking the returned uniform at the counter. Q. Are there any storages where I can store my clothes and belongings? A. Individual lockers are prepared. A. It differs in person, but it usually takes 30 minutes. Q. Can I rent shoes? A. Sorry, but the shop does not lend shoes.